Tip 2 – Listen to a Symphony of Apps. 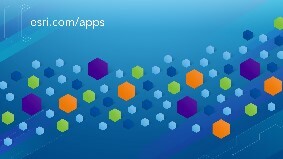 Make magical music with a Symphony of Apps by checking out all the apps at www.esri.com/apps. You can also share our musical melodies with your friends [Music by Ethan Latzke]. Tip 3 – Attend the Monday Night Map Gallery. Head upstairs to the Map Gallery and Plenary Zone where we have pre-arranged a special meet and greet area with the users you saw on the main stage. Introduce yourself and have a conversation. That’s what it’s for! 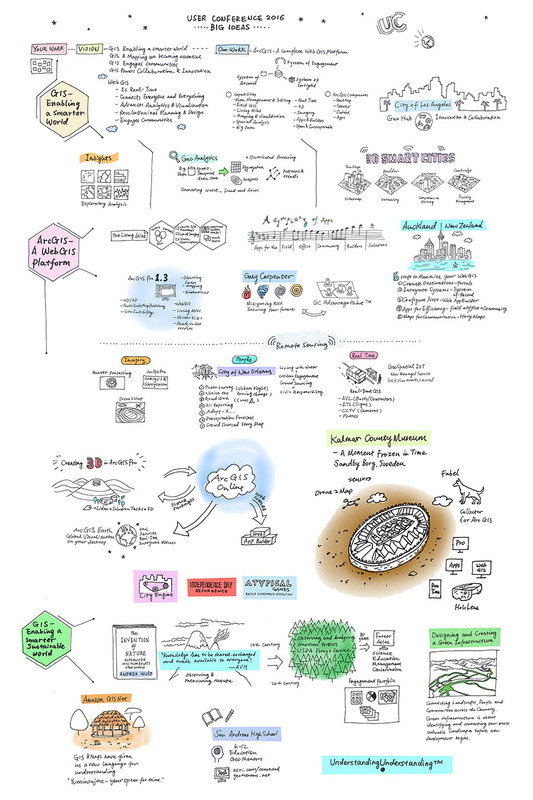 Tip 4 – Re-visit the Presentations. If you missed any of the presentations or need to re-visit them to get more details, check out the videos on E380 (available Monday evening). Tip 5 – Read More about Alexander von Humboldt. If you want to learn more about Alexander von Humboldt, check out the new Alexander von Humboldt Story Map and buy the book The Invention of Nature: Alexander von Humboldt’s New World by Andrea Wulf. Tip 6 – Learn More about the Green Infrastructure Project. A downloadable booklet on Green Infrastructure Planning by Arancha Munuz Criado. Applications to explore and work with green infrastructure resources in your community. Copies of the Green Infrastructure Center’s GI Model; used to create the national intact habitat core areas database. Story maps, data downloads of both source data, and the derived national habitat cores database. Links to the Green Infrastructure section in the Living Atlas. During the plenary, you saw the City of New Orleans demonstrate a crowd-sourcing web app for property assessment that will help reduce blight in the community. This year’s user conference challenge is to complete 75,000 property surveys in 5 days. Together we can do it. Open the web app and complete just 5 property assessments by Friday. Start now by using the guest login or your own social login at https://propertysurvey.nola.gov/photosurvey. Tip 8 – Visit the Kalmar County Museum and the Amazing Archeology Site of Sandby Borg. Tip 9 – Remember the Video Game Simulation of a Beautiful Futuristic City? Download and play Atypical Games Battlefield Supremacy: Evolution. We played a lot of inspirational and exciting music during the plenary session. In case a tune caught your fancy, but you couldn’t open your Songify app in time to identify it, here’s the full list of songs and artists.